Battleships, battlecruisers, guns, cowboys, revolvers, chivalry, honor, knights, greatswords, fantasy, writing fantasy, music, anime, sleeping, being a night owl, and being alone. It just dawned on me that this video provides more evidence that the Soviet BBs are making the German BBs even more irrelevant. I mean, what is that, the T5 and it is beating the T7 Gneisenau? German BBs need love too, because right now they are in a horrible place. From what I’ve seen, the Soviets are fine, both in concept and execution. There is always room for tweaks here and there (Sinop. I’m looking at you.). I honestly love how they are done and with their trade offs, I feel that they are mostly in line with everyone else. We are Annapolis Rejects (AR) and our main goal in life is to shoot ships. The Naval Academy deemed us hopeless, so now we're here. We are a casual-competitive Storm/Typhoon clan and we are currently looking for active players to join our ranks. Our requirements to join are fairly straightforward: be active and handle yourself in a mature manner. AR is somewhat laid back and we enjoy divisioning together in the off seasons and participating in other game events. The clan is made mostly of players within the age gap of 16-35. Although we do not care about your age, we do require that you conduct yourself in a mature manner. We take a serious approach to Clan Battles, while not getting too worked up over it. We do try to give everyone a chance to play during clan battles. If this sounds like the group for you, we would be happy to have you. If you are interested, have questions, or want to hang out, stop by our discord server at https://discord.gg/UmYSER9 . Another fun looking ship ruined by making it free... I would have loved to see how a CA would play with a smokescreen. Alas, WG said no. I honestly would have enjoyed seeing her at T6 with her previous build. I am starting to get fed up with WG doing this to ships. I am still burning with rage over PEF, my beloved Pretzel. It is so mediocre and hard to play well in. Even when I play well, I still never get nearly as far as I could with any other of the t6 bbs. I love the ship to death and want so badly for it to be at least half decent. Though there were a few free ships I did like: Graf Spee is cool and fun. I wish I had more games in her, but I am too busy grinding. Maybe she could use slight tuning to her stats. Maybe, maybe not. Just one complaint: her New Years camo is boring and ugly as sin! I honestly can’t believe I literally killed myself to grind that out in the week I had before the semester started. I demand that it is replaced with an actual camo, like the one Tirpitz got… man that one is beautiful. Vampire is a blast to play. I don’t care how bad Variag is. I still find her as one of those pretty and neat ships I want to do well in. Takao and Cossack are pretty insane and I honestly can’t believe those were given out for free. but other than that, everything else is trash, at least IMO. Welp… there goes my chances of getting a decent t4 premium battleship. Ha! I remember that, when the USN CVs could only carry AS or Strike builds. I’m now getting ptsd of AS Bogue, which was cancer and made my early days playing cv a living nightmare. Man those loadouts were bad. I could see the validity if you were in a division with another USN CV running the other loadout… oh wait you can’t do that. Though with the current system, the only real outlying issues are t8 and t10 CVs. T8s have to deal with t10 aa on t8-10 ships and suffer greatly, along with the fact that they are always uptiered. T10s on the other hand have such tanky planes that they can just kill you if they want to, AA Minotaur? AA Des Moines? Easy food for well played t10 CVs. And let’s not forget all of the innocent dds that have to put up with being spotted and murdered just because they decided to load up at the time a cv was in que. yeah. I really don’t like Midway. Too stupid. With one hand you can delete BBs and cruisers at will. And the other, you can delete them with the other if they survive with torps that make Hak look weak. Seriously, it is disgusting that a Midway can fly over a Des Moines with one type, force def aa and then kill them with the other when it’s done high alpha was always a problem with CVs and it only I feel happened because in order to mitigate losses when attacking, you need to stack them, which also allows the greatest chance of attacks going through. Though stacking probably would have happened either way. The new system addresses that issue nicely, along with really strong aa ships, but now we have an issue of CVs being stupid late game. Sure in the current system you could run low on living aa mounts but that wasn’t that much of a problem. It is the fact that you can now run out of def aa. It does sadden me at times that some historical aspects are forgotten. I was fairly certain the Germans were good shots and did not operate their battleships without fire control directors. Though some cuts I do feel were necessary, like not giving radar to American t6-7 cruisers which historically had them. Conqueror: “Did somebody say magic ships?” I honestly feel for WG right now as balancing carriers is very difficult and there will always be people who say they are broken. And the same can be said for AA at some tiers and on some ships. I always hated the concept of “untouchable AA ships,” save for Atlanta and Flint as that is literally their sole job in life, though I will still hate Atlanta and Atlanta divisions with a passion. It is nice to see how the interaction between CVs and their pray is a bit more than just, “you either have enough AA to shred their planes or you sink,” though I feel it could go just one more step in that direction of more devolved interaction, but that might just be asking for too much. Also, in terms of hating carriers, can they possibly be hated anymore than they are now? Well… besides being teamkilled at the start of every match they start. Don’t any of you get any dirty ideas. I might not be the first to say it, but don’t you find it odd that the Japanese are the ones getting AP bombs and not the USN? Correct me if I am wrong but I think historically, that the USN were the ones that used AP bombs more and I don’t recall the Japanese using them that often (Pearl Harbor being one of the few that sticks out to me with their modified 16in shells as bombs). I legit wanted to see Enterprise get something special with her fighters. Also, can we get an F for the viability of Zep using her secondaries since planes are unlimited and you would have to make a pretty boneheaded mistake to have none available? Historically, she dealt with the same thing… granted, WG doesn’t always follow history, otherwise the German battleships could actually hit stuff and t6-7 American cruisers would get radar. Besides that, I am curious how they will make her unique. Being t7 isn’t the end of the world anyway. I honestly would prefer it over t6 (though I would like to see t8 yuudachi). Besides t6 being downtiered, like several other ijn premiums, t6s tended to never have the guns to match up against their t7 counterparts (granted there are a few exceptions). So pick your poison. Do you want to have guns that don’t stand a chance against higher tiered dds or do you want them to outspot you by a good margin? Thank you so much for clearing that up. That is a relief to hear. Unless I have misunderstood… She is coming at T6?! Why? T6 is such a rough tier for dds, mainly due to being upteired. I have to ask, was it that hard to give her both consumables and make her a t8 instead? I mean, half of the Japanese premiums are downtiered. I guess this makes me the only person who wants to look at this change optimistically. I am disappointed we are losing the odd tier ships. Yet people seem to forget that they WILL be added back in. They said in the article that early work in progress has them splitting them into a separate line. I just wish that you will not have to reunlock them later. Splitting the lines we already have is a little dull, as that will prevent many carrier from being added, bar premiums. Light carrier lines? What about the Yorktown, Unryū and Hiyou classes? Personally, I would have loved to see Hornet as a premium with its first attack wave consisting of the same Mitchells that we’re used in the Doolittle Raid (OP or not, still cool). Could also have gone for hilarious surviability as she just would not sink IRL until we decided to scuttle her. At least the lines are small enough to consider a German line. Something at T4, the converted cruiser Seydlitz (now Weser) at T6, Graf Zeppelin clone at T8 and some fantasy design at T10. Sorry, I seem to have gotten distracted. Argue all you want but CVs (and AA) did need a change. The skill ceiling is too high, along with the massive potential damage. Novice carrier players never bothered me. It is the unicums that are capable of deleting anything they set their eyes on that irritates a lot of players. Couple this with how stupid AA gets at the high tiers and you can see how they need to change. Novice players are punished too heavily by better players and the AA spec’ed ships they run into. Every time I played CV, I always dreaded going into a fresh battle, because my ability to preform was determined by if the other guy was a better CV than me. Most quit CVs, some stick around at the expense of their teams and a fraction actually try to get better and feed into the unicum CV problem. The other issue is AA. Right now, it is all or nothing. You either shoot everything down or you take massive damage. There is no interaction with the current system between the victim… ummm... I mean surface vessel and the CV. The most we have is positioning to deter a carrier from attacking you. I do have to give WG some credit for making AA defense have a bit more user input, but I feel there could be more. Granted, having to multitask AA and fighting off enemy vessels could get overwhelming if they made it more hands on.This is another reason carriers need to be changed because you should not be not allowed to play just because you ran into a division that spends their free time thirsting on the tears of carriers.This is another reason carriers need to be changed because you should not be not allowed to play just because you ran into a division that spends their free time thirsting on the tears of carriers. I guess one last thing I just thought of is true, which is the inconsistency of running into CV players that are good. 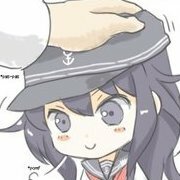 Since we so rarely have to deal with CV players that are good, we never get enough time to learn how to deal with them and position ourselves to minimize attacks and damage taken. And the other nasty side effect is people start complaining about how overpowered and broken carriers are because of the reason before. Then we get the carrier hate that is present today. One of the most disgusting things I have ever seen is the Saipan, double Atlanta carrier shutdown division. This is another reason carriers need to be changed because you should not be not allowed to play just because you ran into a division that spends their free time thirsting on the tears of carriers. I think I have rambled long enough. I hope WG handles this change well because I really want to finish my carrier lines.